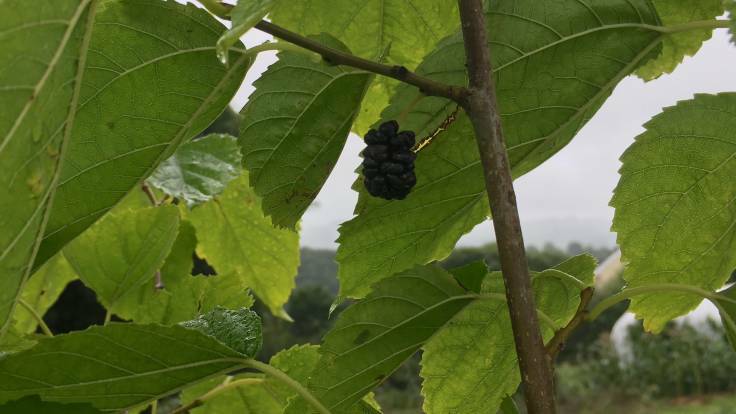 Bore da byd, a hidden harvest in the #ForestGarden, mulberry Morus alba x rubra ‘Illinois Everbearing’. Note the singular. One mulberry. So far. I’ll be moving the mulberry to the new forest garden, as it’s too exposed where it is and mulberry’s have fragile branches.